The WrapPros @ BB Graphics use the best 3M products – from our printers, to the inks, to the vinyls, and laminates – it’s all 3M. 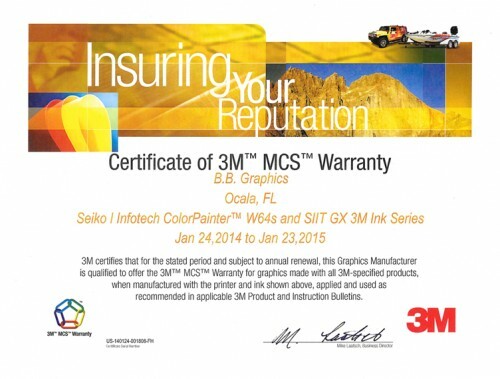 We are the only 3M MCS Certified vinyl vehicle wrap shop from Jacksonville to Miami. Our Ocala, Florida location is central, and easy to access from every part of the state. What it comes down to is a simple choice—do you want ordinary or extraordinary? If you’re looking for extraordinary than you’ve come to the right place; that’s exactly what we do. (Is it still considered bragging, if it’s true?) We’ve spent many long hours and late nights working out the kinks of wrapping and honing our skills. It wouldn’t be a long shot to say we’ve lived up to our name of The WrapPros. But you don’t have to take our word for it—our certifications speak for themselves! We first participated in a rigorous 3-day onsite training session, then finished by completing an intense exam judged by 3M professional. Finally, we scored above average in all testing areas! 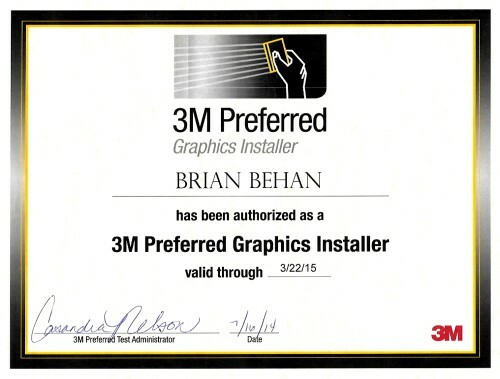 A 3M representative inspected our facility and equipment, and has certified that all of our inks, printers, and materials, along with facility meet the standards set by 3M. – 3M produce ALL of the material we use. 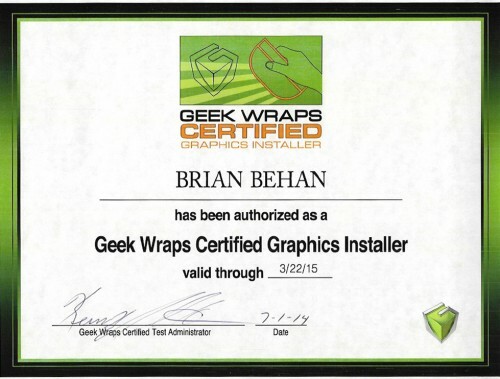 A wrap installed by a shop with 3M™ MCS Certification adds 1 additional year of warranty to your wrap. We’ve lived up to our name time and time again, earning us this award. When car dealerships, general contractors, and other professional services use The WrapPros they can warranty products through us.